The pesky SRS error message and "drive to workshop" is showing in the panel. Connected my code reader and got an error for the passenger seat detector. Have now ordered a "seat detector eliminator" and will install as soon as the gizmo arrives. 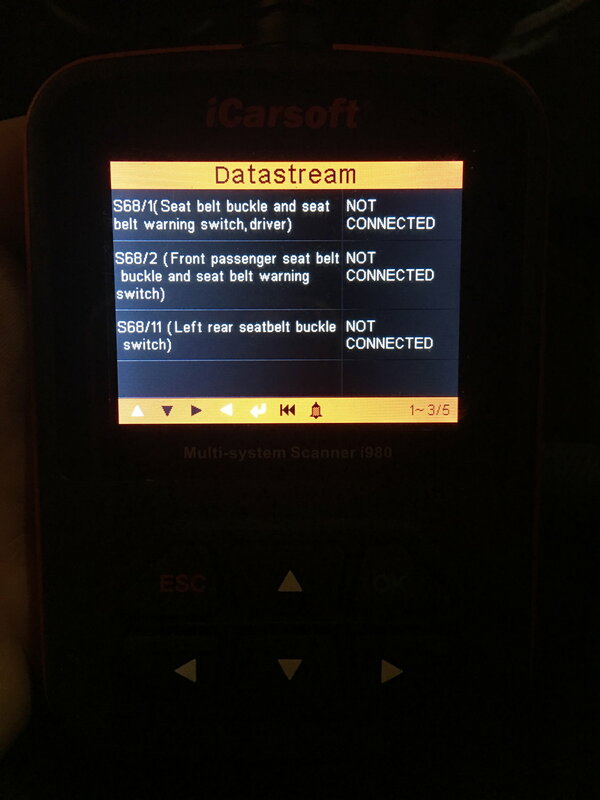 I am worried since I also get an error for ALL seatbelt sensors, but I hope this is linked to the first error. We'll see when I get the seat eliminator connected. That's not errors that's DATASTREAM!